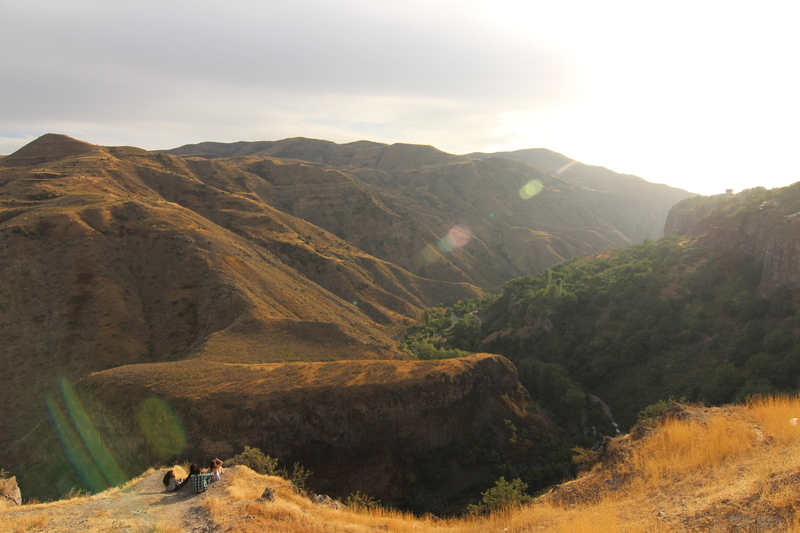 Last week, Yugyeong and I were allowed into Iran; driving up to their highest peak, and down to cave-like abodes carved in rock, before waving our invisible guide goodbye. 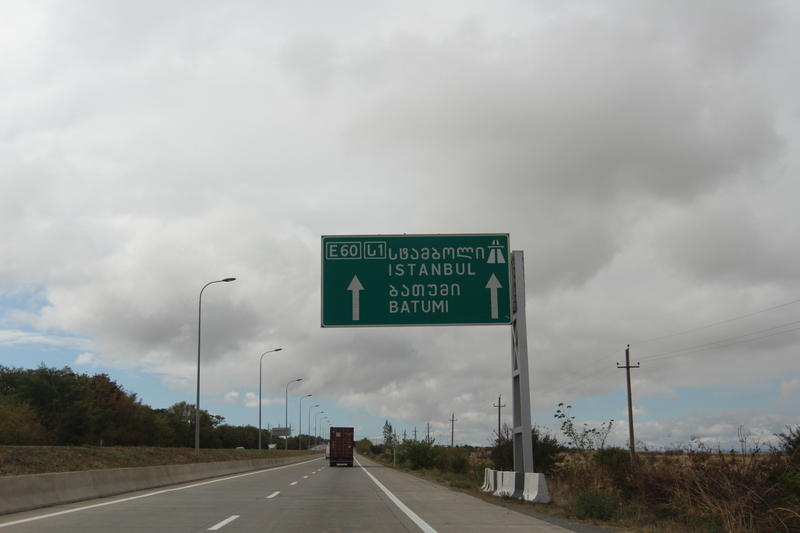 This week, we drive through Armenia and into Georgia, keeping our wits about us around land-mined borders and hair-pinned highways. 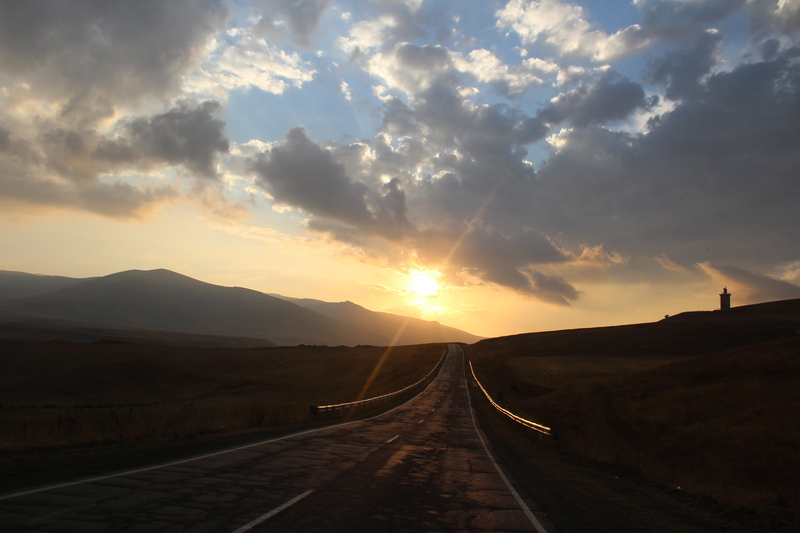 The beginning of our eleventh week on the road, and the deserts of Iran seem a distant memory as we have entered a far more undulating region: the Caucasus. 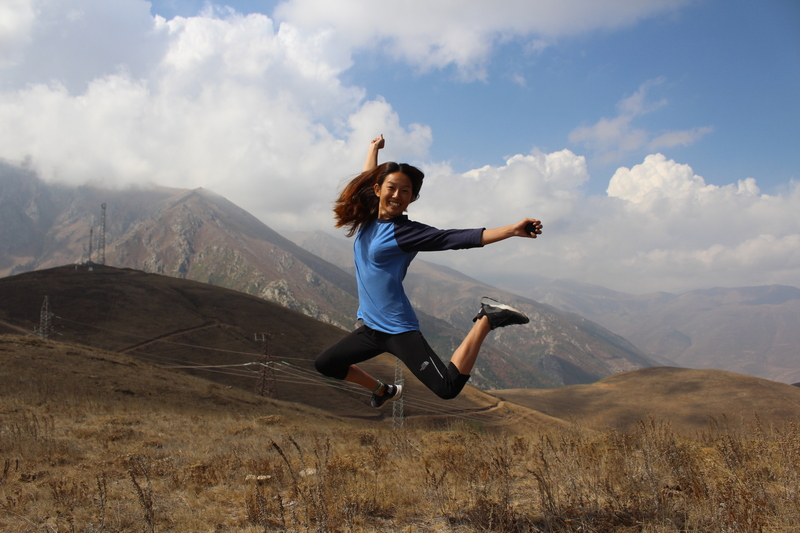 Named after the mountain range that dominates this part of the world, the Caucasus provide the geological border between Europe and Asia, as well as a stern challenge for our vacillating vehicle. 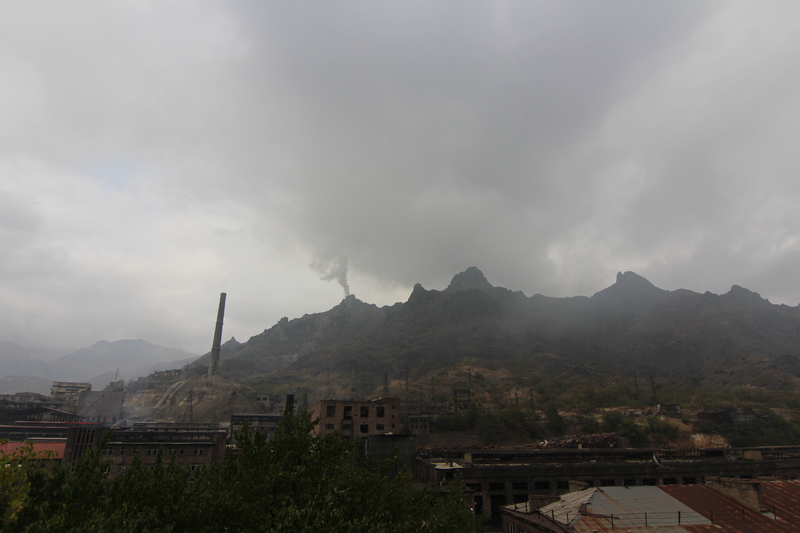 Today’s schedule included a four hundred kilometre drive from the Iranian border, to the capital: Yerevan. 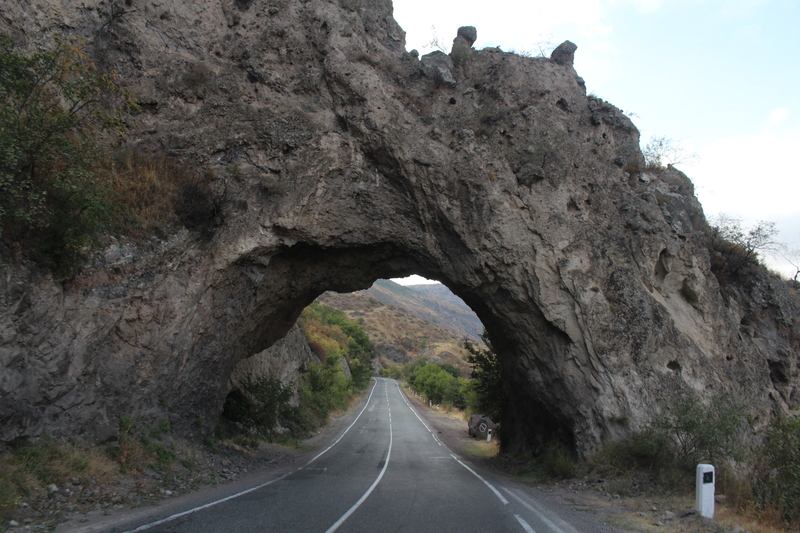 Armenian roads exist of a fashion, but are always sufficiently pot-holed and never two-laned (a problem when sharing with endless trucks loaded with all varieties of cattle). 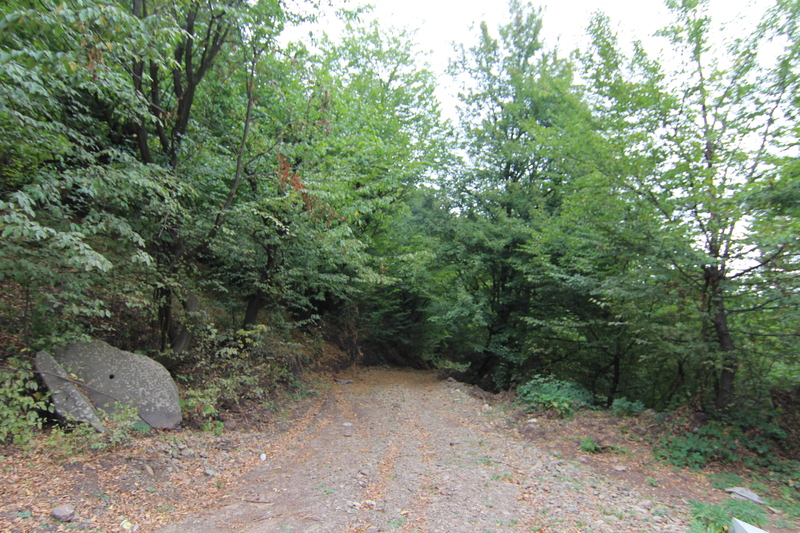 This particular route had the added bonus of being heavily land-mined on either side by both the Armenian and Azeri militaries. As I have mentioned in a previous post, the two nations positively detest one another (on a urinating-on-each-others-flag level), and all borders have remained closed for almost thirty years. 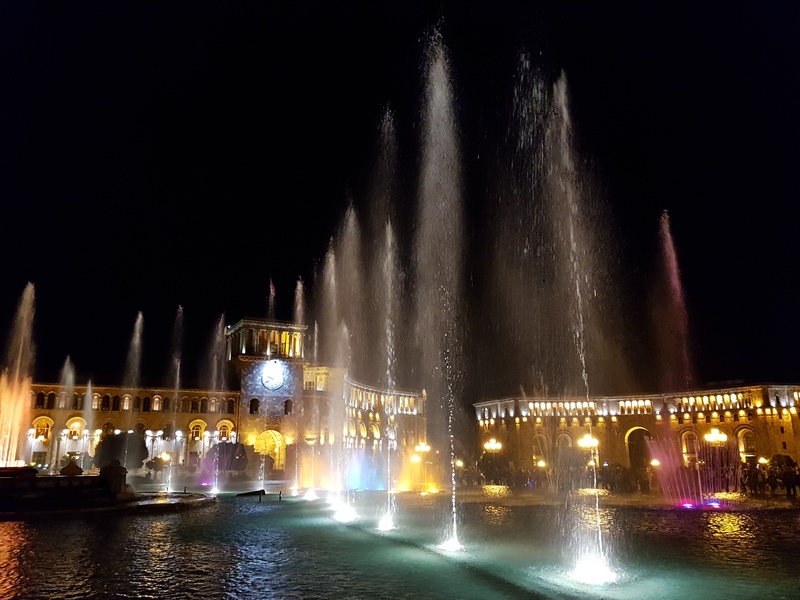 This is an even larger problem if you live in the Azeri enclave of Nakhchivan, and must go via Iran to visit your relatives in Baku. 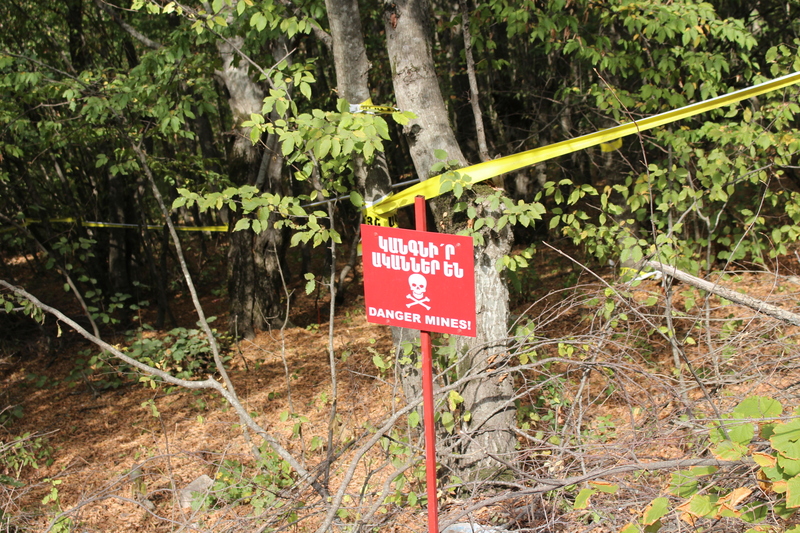 Dodging mines is a slow process, however, and it took us all day (and most of the night) to reach the first piece of flat land that we had seen since our arrival: otherwise known as Yerevan. 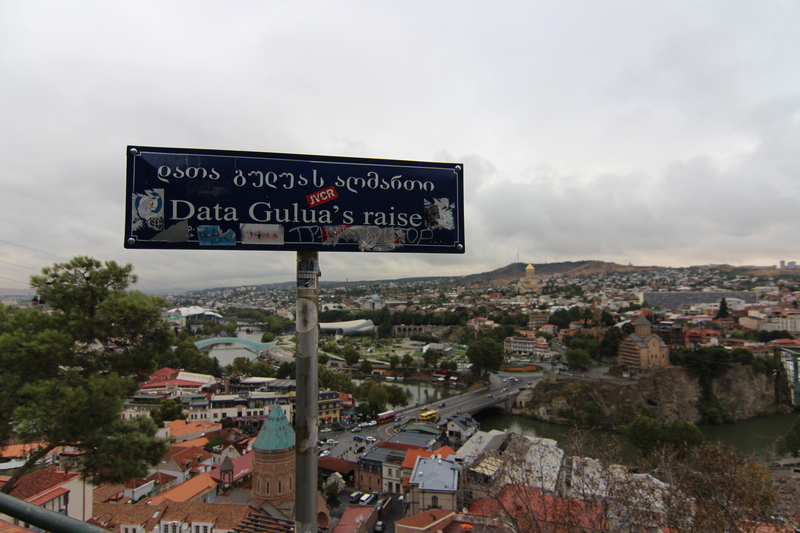 Having only recently discovered that Armenia has its own distinct language and alphabet (that looks nothing like the Cyrillic one we were just starting to get used to), it took us over an hour to locate our concealed hostel before we could finally have respite. A day without driving is like a day in a dentist’s waiting room, you’re not quite sure what to do with yourself, and eventually just want the pain to be over. 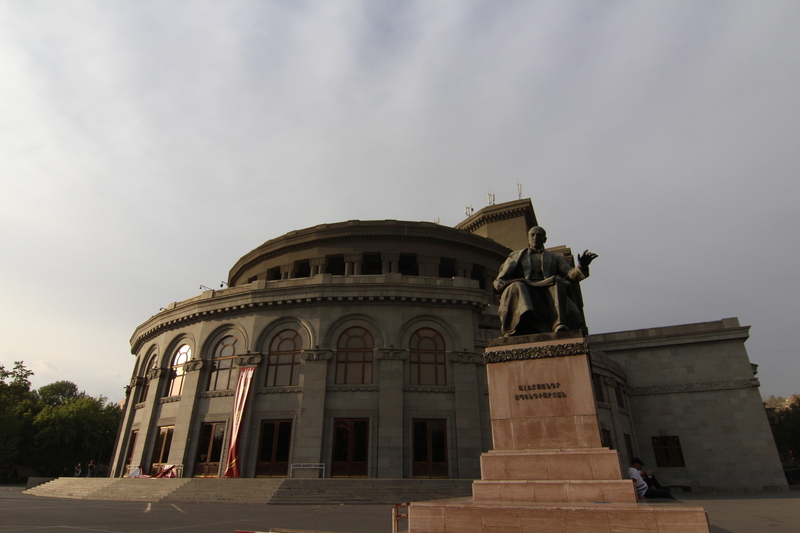 Although, in fairness, Yerevan is one of the least depressing ex-Soviet-state capital cities that we’ve been to yet. In fact, they’ve done-it-up quite well. The old Soviet architecture has undergone a major facelift; and the opera house, parliament building and central square are erections that any city would be proud of. The latter also plays host to an incredible (I don’t use the word lightly) nightly fountain display that I honestly thought bettered that of the famed Bellagio show on the Vegas Strip. 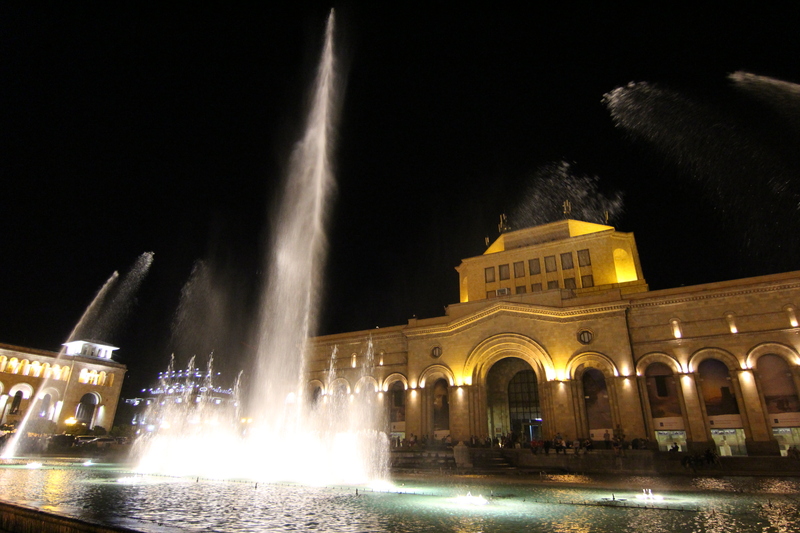 In addition, instead of a measly five-minute rendition of ‘Time to Say Goodbye’, Yerevan’s lasts a good two hours and utilises all sorts of different musical genres, including Armenian neurofunk. I really can’t tell you how impressed I was, although the photos don’t look as inspiring as my recollection. Maybe someone slipped some Valium in my lager. 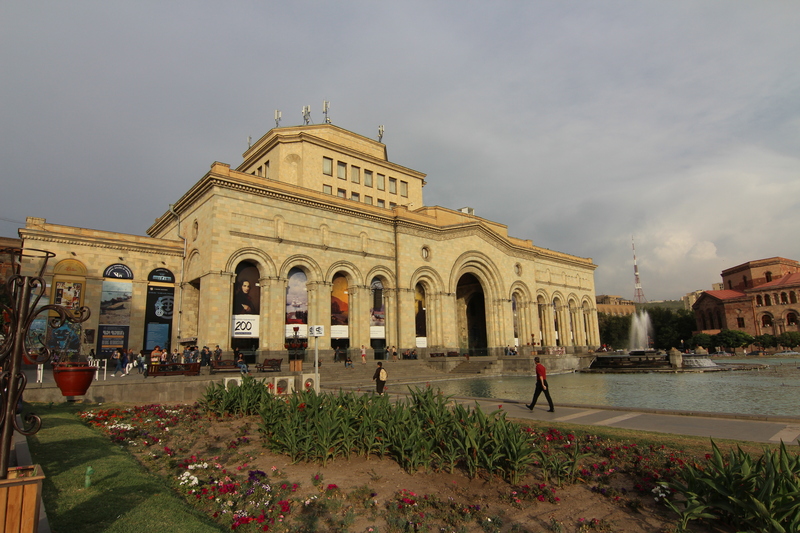 Before continuing our drive to the Georgian border, we took a detour south to a couple of Armenia’s most visited tourist attractions (that label means about as much as ‘Holland’s most popular mountain ranges’ or ‘Birmingham’s prettiest roads’). 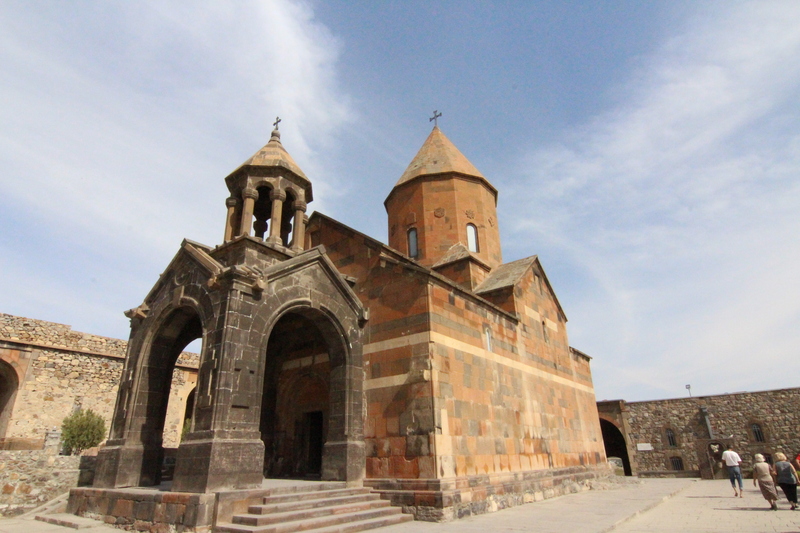 Firstly, Khor Virap: an ancient church that was the site of Armenia’s religious awakening over seventeen hundred years ago. 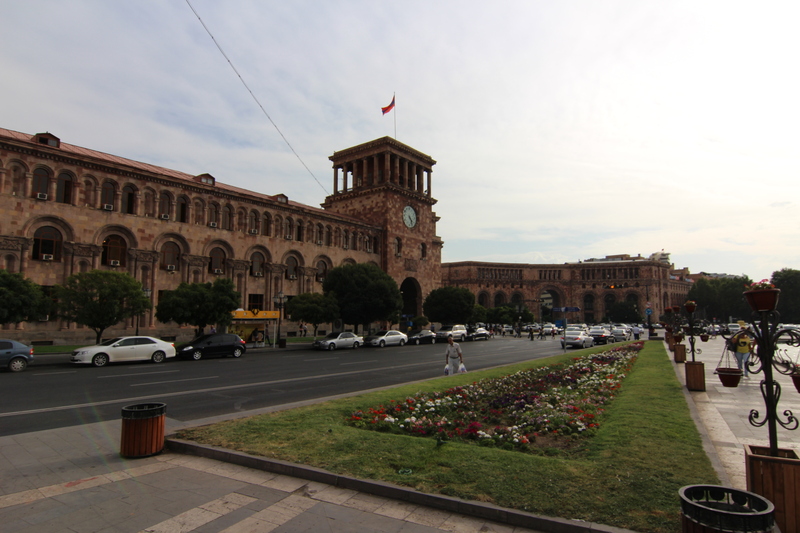 Armenian fact number one for you: it was the first country in the world to declare Christianity as its state religion. 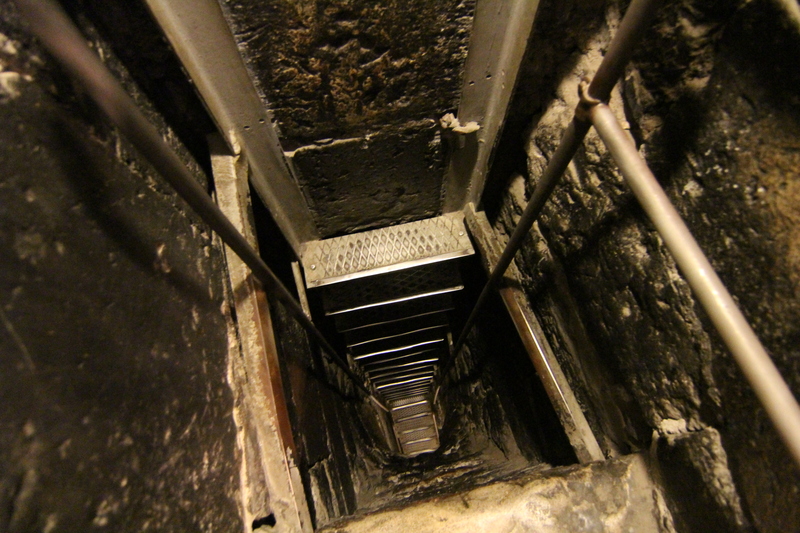 That was down to Gregory the Illuminator who, in the early fourth century, was thrown in an extremely deep pit under Khor Virap (that we did not fancy descending) for thirteen years as punishment for attempting to spread the religion. The King at the time eventually saw sense, freed Gregory, made him a saint, and undertook one of the largest church-building projects in history – with some of the sites still visible today. 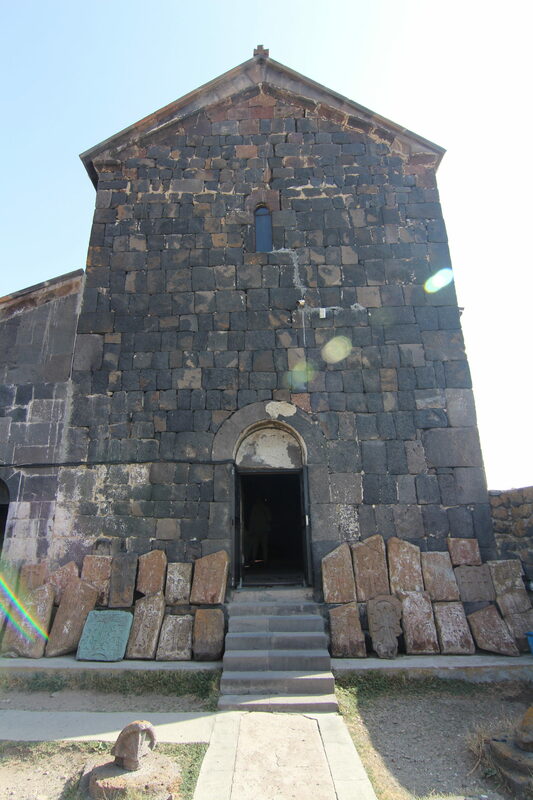 Khor Virap, uncoincidentally, was built next to Mount Ararat, the site where Noah’s ark was said to have come to rest. Whatever your views on that may be, they picked a bloody nice spot to build their church. 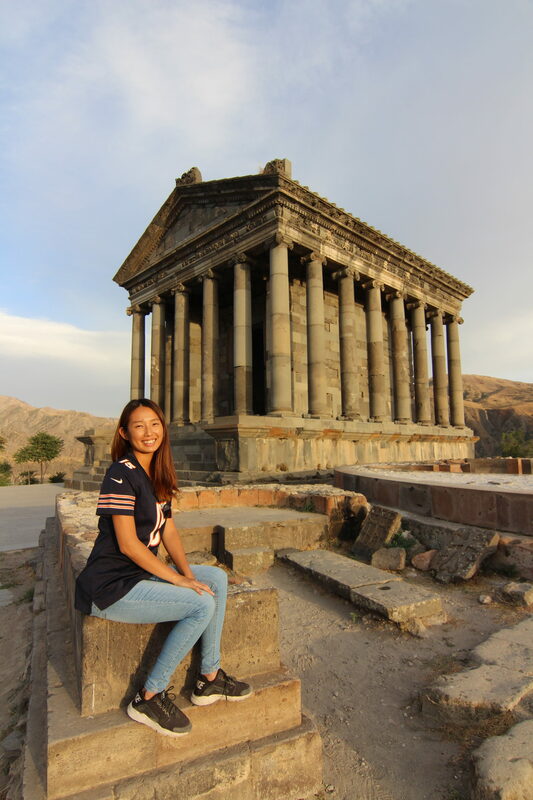 Our second stop was in the town of Garni, made famous for a gorge, and a Greek-style temple that overlooks it. 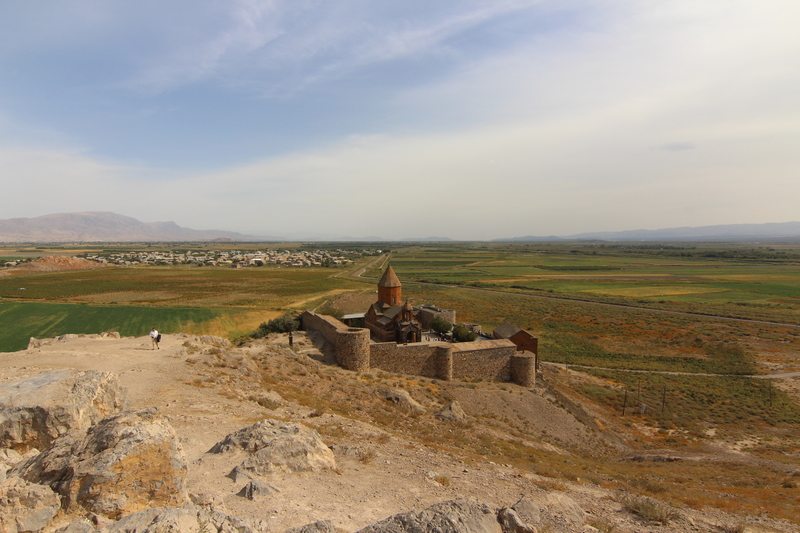 It was also an agreeable spot, and I must say we are thoroughly enjoying our whistle-stop theological tour of the Armenian countryside. Unfortunately, the same cannot be said of their food. 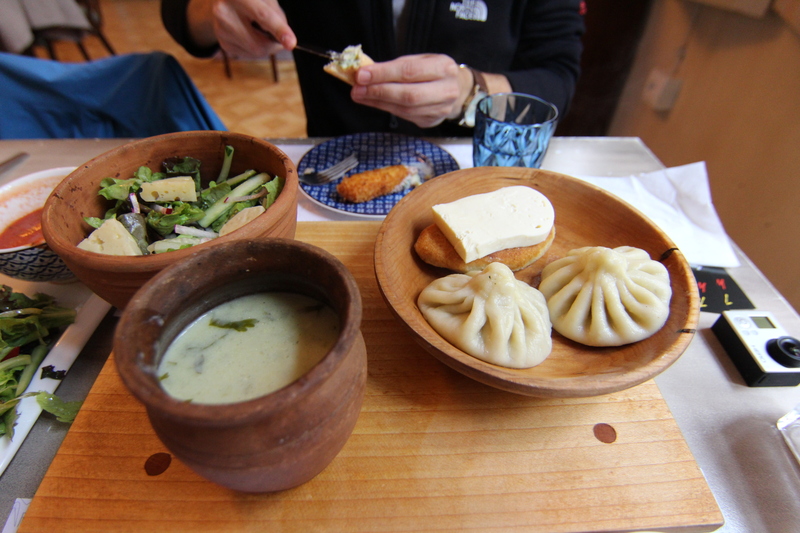 Dinner, once again, was over-priced, under-portioned, and tasted of extremely little. 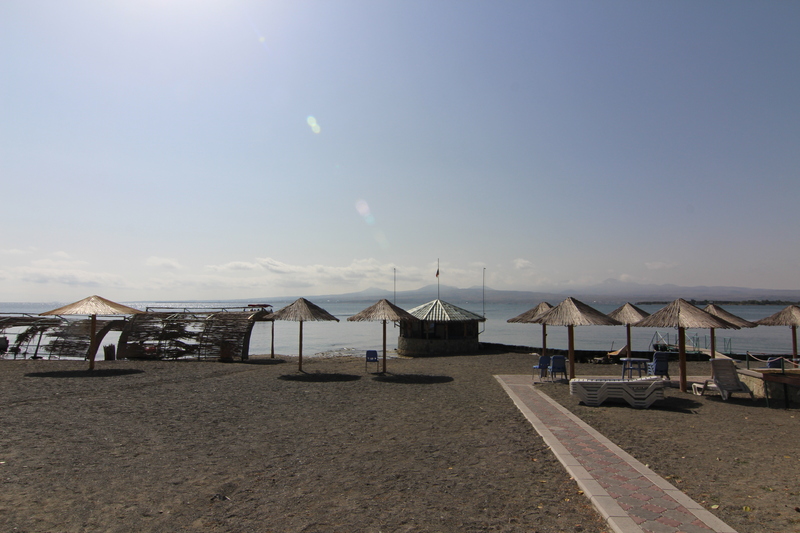 We drove our unsatisfied stomachs to the Sevan Peninsula, and hunkered down for a cold night next to a lake at two thousand metres. We seem to have skipped the Autumn season, and gone straight to Winter, as last night was bitterly cold (although our elevated location may have had something to do with it). 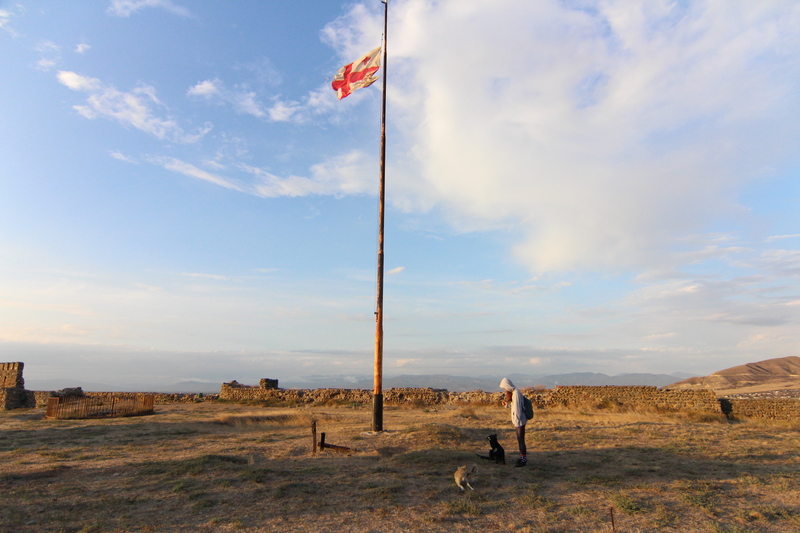 We were camped next to a beach on an exposed peninsula that, believe me, was much chillier than it looked, although it did allow us easy access to the churches that were built on a hill at the tip of it. 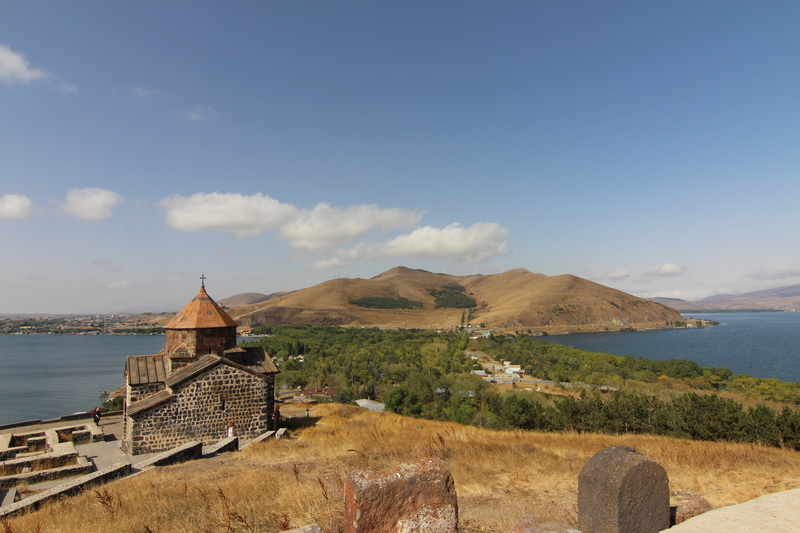 In fact, the churches were built on an island, that has since become a peninsula, thanks to Soviet-era irrigation methods (akin to the Aral sea). 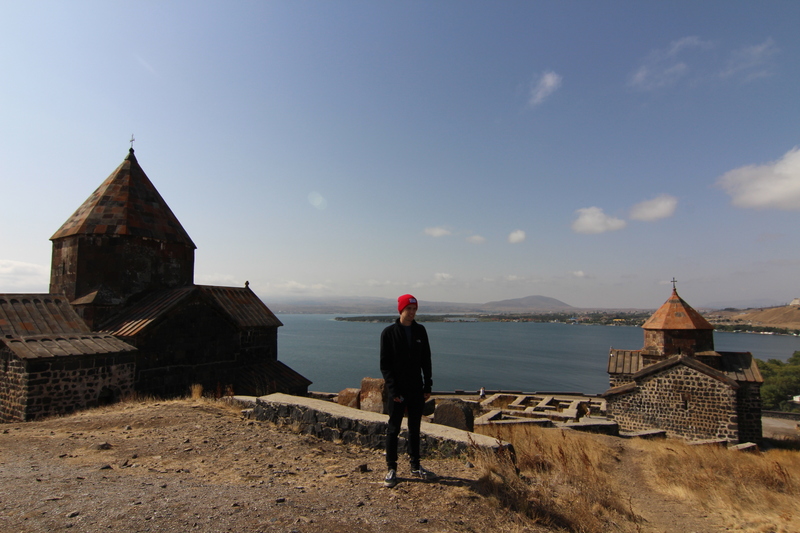 Whilst destroyed and rebuilt several times throughout history, the site appeared sincerely old, and very well preserved – as we have found at all Armenian historical sites. We have been downright impressed. Slightly less impressive was the road heading north to Georgia, which was undergoing major re-construction. Mile upon mile of wet, rocky track, including a thirty (yes 30) kilometre detour along even worse track before the mountains and hairpins subsided, and a crossing appeared. 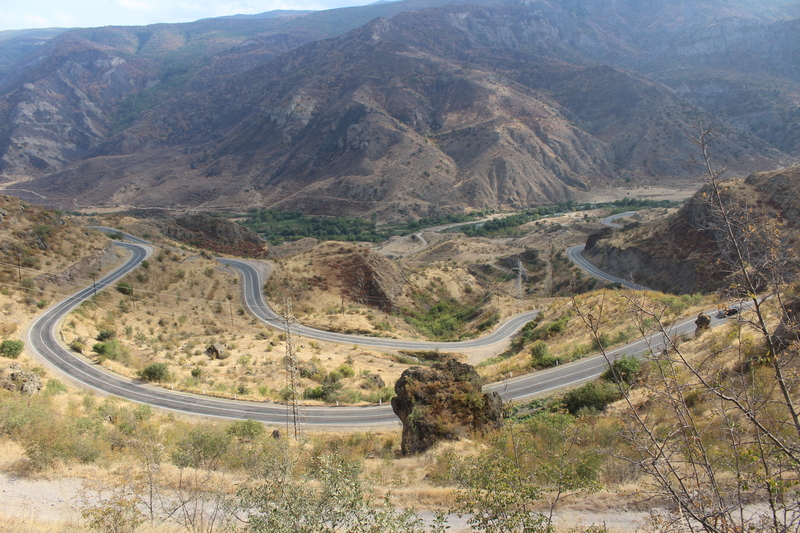 The border between Armenia and Georgia at Sadakhlo is simply superb! We’ve not enjoyed any border experience more than this one (actually, we’ve not enjoyed any border experience full stop). Clear customs instructions, efficient and helpful staff, speedy passport control that don’t give two hoots where you’ve come from, and (most importantly) no extra fees or bribes – clear in fifteen minutes. 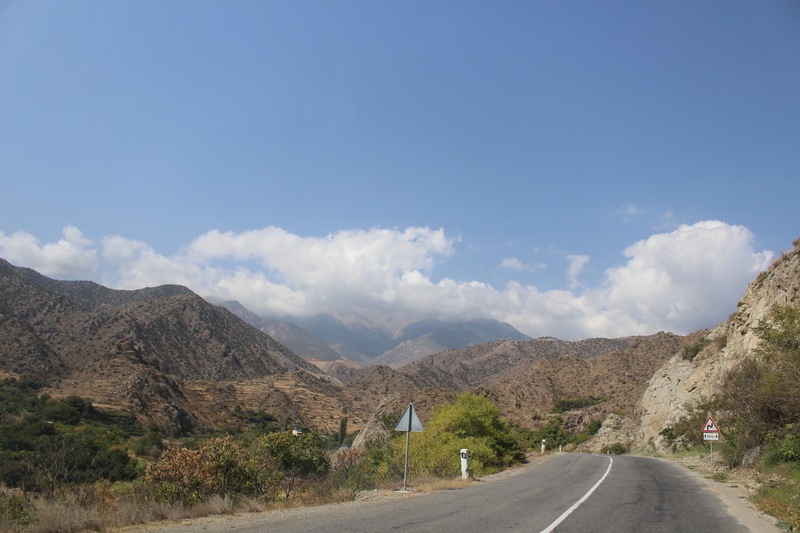 With the terrain on the Georgian side initially appearing about as appealing as a social with Juncker, Tusk & Barnier, we can all but hope that it will provide as much interest as Armenia did. Having arrived at our Tbilisian (try pronouncing that one) hostel in the dead of night, we weren’t able to fully appreciate how abysmal it really was. Sixteen people crammed in a room that was designed for one and a half at best, one bathroom catering for all that was supporting a positively bustling mould life, and a kitchen that clearly hadn’t been cleaned since Georgia gained independence. Although, we can’t really complain given that we’re paying less for a two-night-stay than we did for a salami sandwich last night. 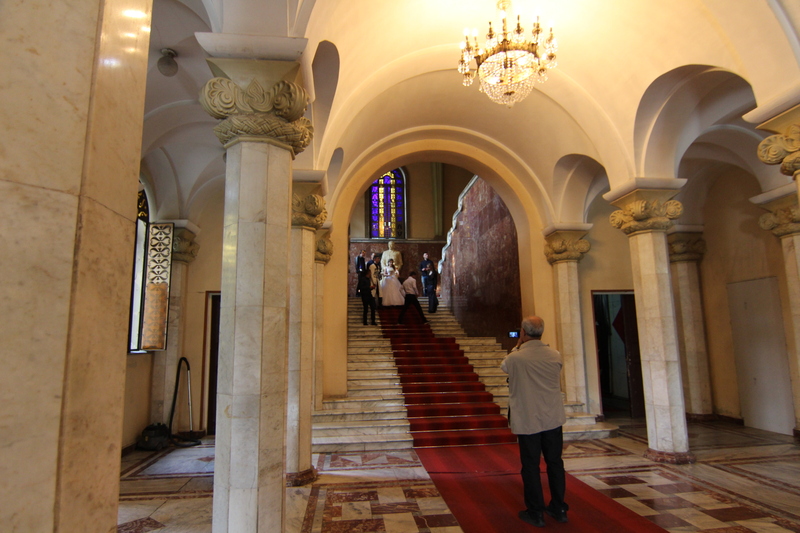 So, today was Tbilisi’s turn to get the tour treatment (alas the weather did not oblige), starting in Holy Trinity Cathedral. 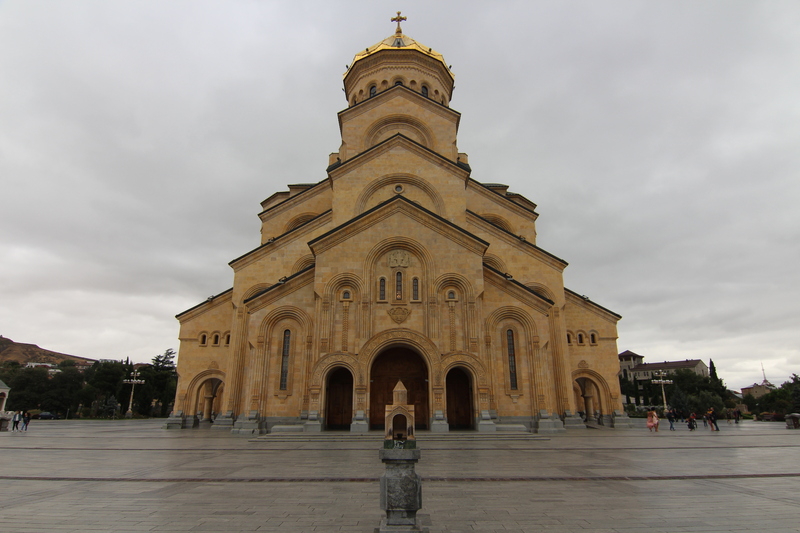 We have seen more churches in the Caucasus than the rest of the journey combined, and this, by far, was the largest. Its central dome stands taller than all it surrounds – a fact we could prove by taking a cable car to a scenic viewpoint of the city, and surveying the wet capital from above. 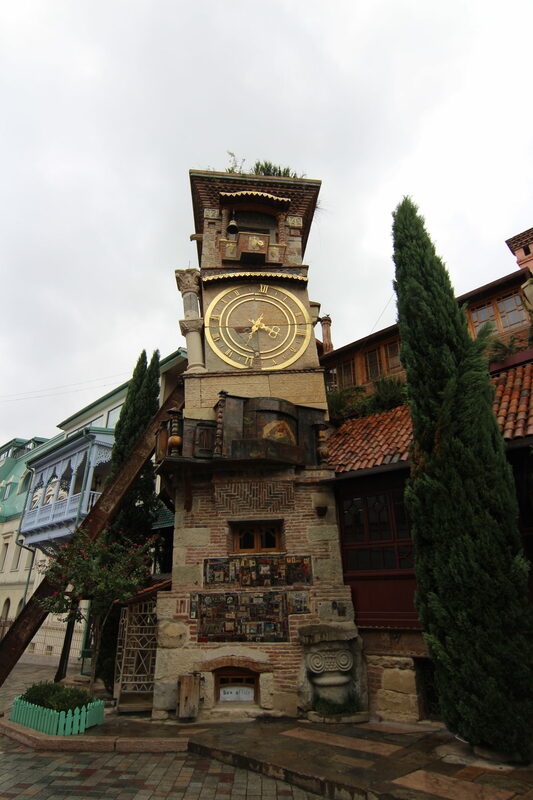 If not for the rain, it would have been a rather charming place to walk around, and it certainly felt like it fit the moniker of a ‘European city’, whatever that means (given the amount of E.U flags proudly hung around the country, that’s what they would like to achieve). After nightfall, we had a few beers in the old town (feeling thankful for the smoking ban in the U.K), before attempting a journey first: taking the subway. It all went extremely cheaply and smoothly, and we had completely forgotten about how drenched we were until we got back to The Ritz and found that the electricity had also decided to abandon it and go elsewhere. So, in candlelight, sat sixteen cold and wet tourists waiting for a repairman who never came. We almost moved back to the car, but boy were we going to get our $6 worth of hostel if it killed us. We’d booked ourselves into a more habitable Tbilisian apartment for today, only to find that they had no record of our reservation, and wouldn’t honour the confirmation e-mail we had. Without electricity the night before, none of our electrics functioned either, so booking different accommodation also became a problem. 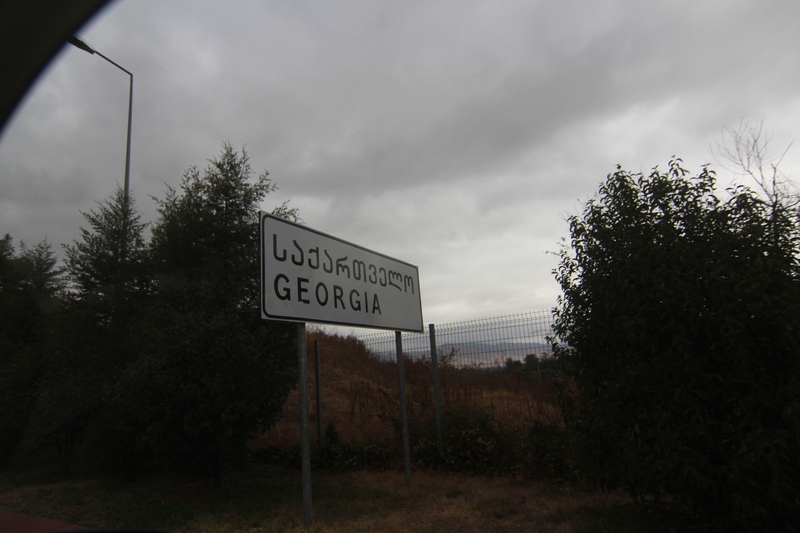 The travel gods were clearly trying to tell us something, so we got back in the car, and drove off to our next town of interest: Gori. Having spent two days living in the Victorian era, we spent the remainder of this one inside our new hostel, scouring our torsos and checking for symptoms of the plague. 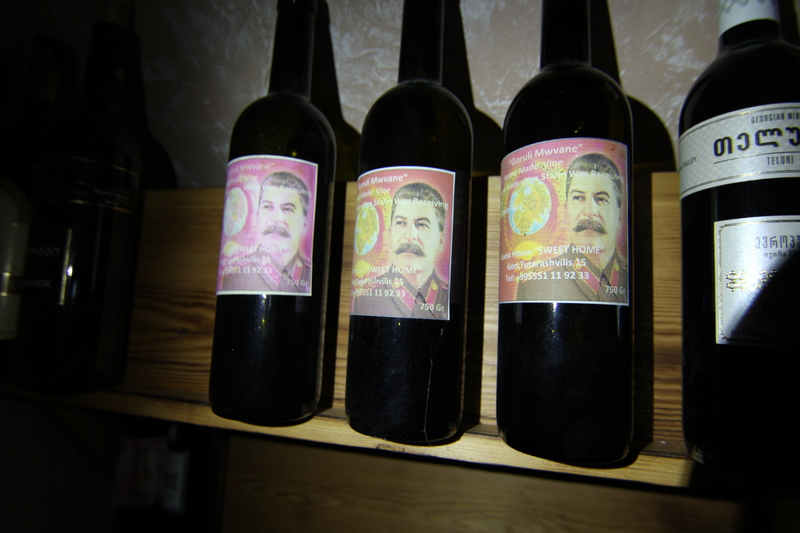 After catching up with the family and watching a fascinating documentary on South Ossetia (the embattled Georgian region just to the north of our location), we lay on our primarily stain-free pillows, admiring some peculiar wine bottles, indulged in our own comfort. 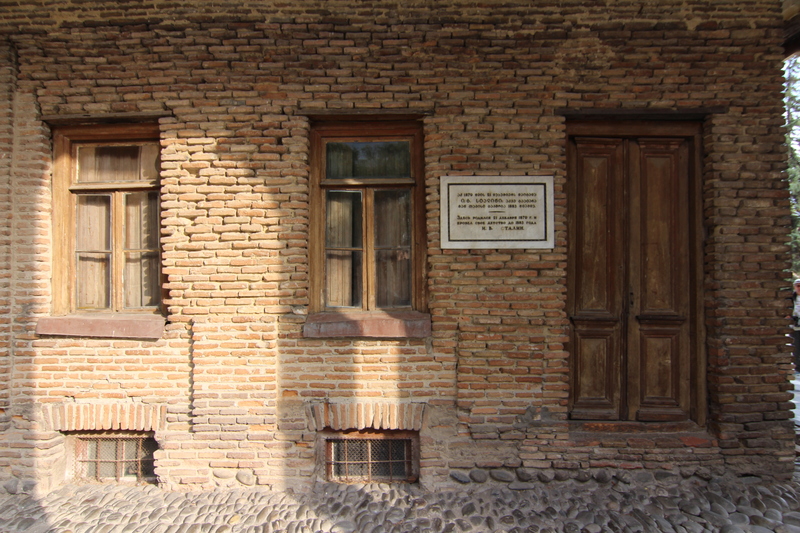 The primary reason for Gori being a ‘town of interest’ was for the simple fact that Josef Stalin was born and raised here. Indeed, you can visit the house where he spent the largest part of his life, as it’s right outside a museum dedicated to him. 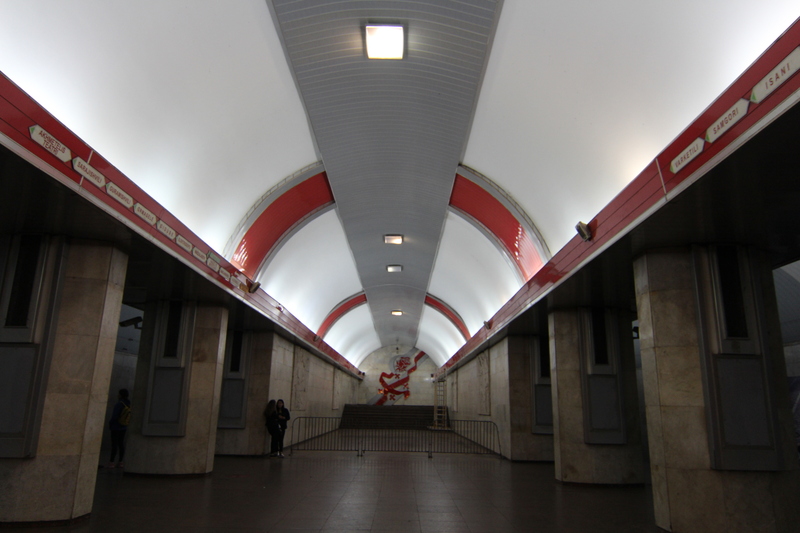 It was an intriguing place, not least for all the Stalin merchandise that was available, but even more so for the bizarre photos that were being taken inside. 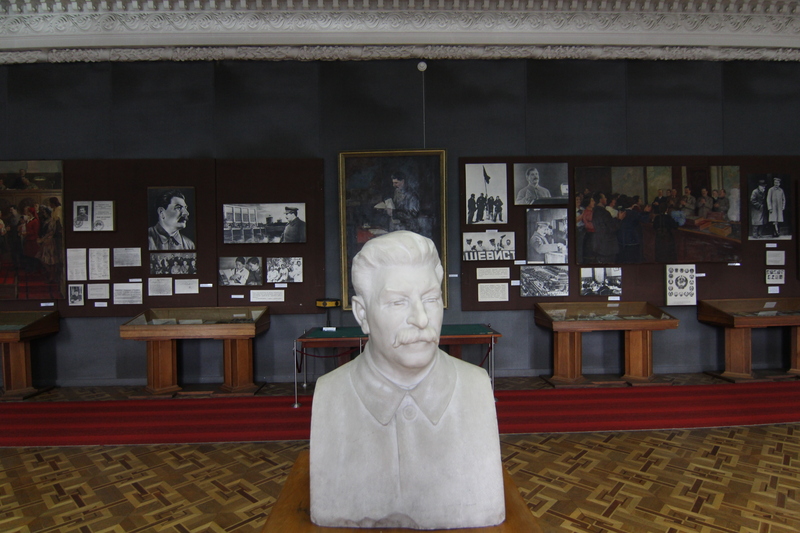 Who on earth would want a large porcelain bust of Stalin in the centre of your wedding photos is beyond my understanding (especially as the Stalin rugs would make a far more eye-catching backdrop). 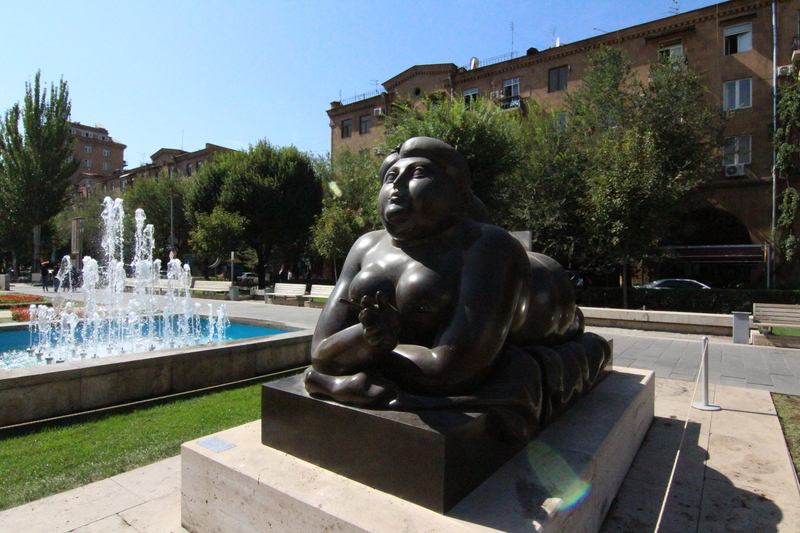 However, Gori is not just Stalintown. It also has a historic fort that sits atop a bluff in the centre of town, as well as a thriving market that we stumbled upon by chance as, apparently, it’s a Saturday (days lost all meaning weeks ago). 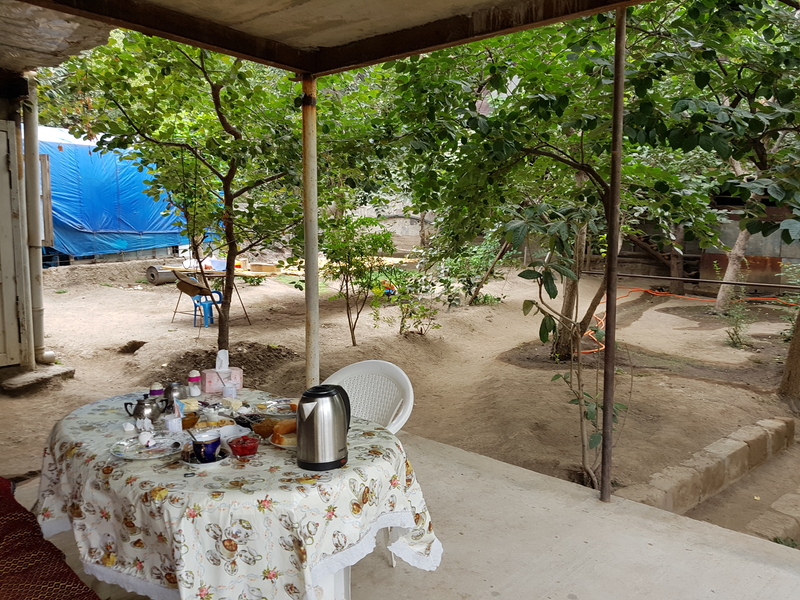 Back in the hostel, and we started to draw-up our potential route through Europe, as we had given it little thought beforehand (Mongolia, the Pamir Highway and Iran took most of our attention in the planning phase – leaving Europe largely blank). Nevertheless, before we can put our rousing plan into action, we must drive the length of our final Asian (and mostly warm) country: Turkey. The road to Istanbul starts tomorrow.